PJO Insurance Brokerage has made a commitment to its clients to perform at a level which is above the rest while drawing on the finest resources in the insurance industry to ensure that our clients have access to the best products and services available combined with unmatched personal attention and courtesy. At PJO Insurance Brokerage, we take pride in the fact that we put our clients’ needs first and foremost. PJO Insurance Brokerage maintains the flexibility and resources to stay on top and knowledgeable in the ever-changing insurance market in order to provide our clients with better insurance products delivered in a timely manner. Your company will work with a professional broker who is interested in your company’s insurance needs and is trained to handle them and will be available to service your company’s specific needs. Our brokers take the time to sit down with our clients, explaining their options and making sure our clients understand all the coverage options available to them. PJO Insurance Brokerage understands that each business is different and comes with its own set of insurance needs. We feel very strongly that being properly insured is just good business sense, and our experienced brokers will help design an insurance program specifically for your company’s needs. 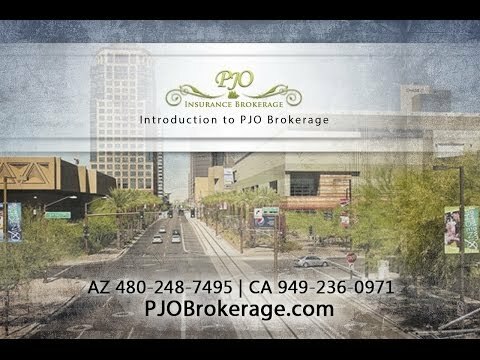 If you would like to experience what it is like to work with Phoenix business insurance professionals who are committed to superior customer service, please call PJO Insurance Brokerage to set up an appointment to review your company’s specific insurance needs. The Need For EPLI Coverage Has Never Been Greater! Is Your Product the Next Big One?